I’m listening to 6 Music today. It is playing David Bowie songs all day long and reading out tributes from people touched by his life and music. So many glorious songs. Each one, from ‘Kooks‘, sung to thousands of little, loved misfits, to ‘Blackstar’ from his genius and now last album, bringing a shock of tears and then a smile. I bet it’s the same for many. I’ve loved Bowie since I was strapped into a car booster seat and played Ziggy Stardust a long car ride to Cornwall. I wrote a story in pink felt tip that summer about what happened to Major Tom. A few years later, I’d stretch into my gold Ballet unitard and sing Bowie songs into a Barbie. When I was eleven, I was convinced that Bowie was a Time Lord. I had long arguments about it in the playground. Both The Doctor and Bowie were star men on Earth who frequently changed their appearance; Bowie was otherworldy, sharp in teeth, lyrics and cheekbones, the same man but different with every regeneration. On the Moulin Rouge soundtrack, he covered a song that always reminds me of both Bowie and The Doctor – ‘Nature Boy’: strange, enchanted boys, wandering very far, speaking of fools of kings. Several today have said that he has gone back to the stars today and in his last video, ‘Lazarus‘, Bowie leaves his hospital bed and climbs into a wardrobe – or TARDIS, as I thought when I first saw it on Friday. 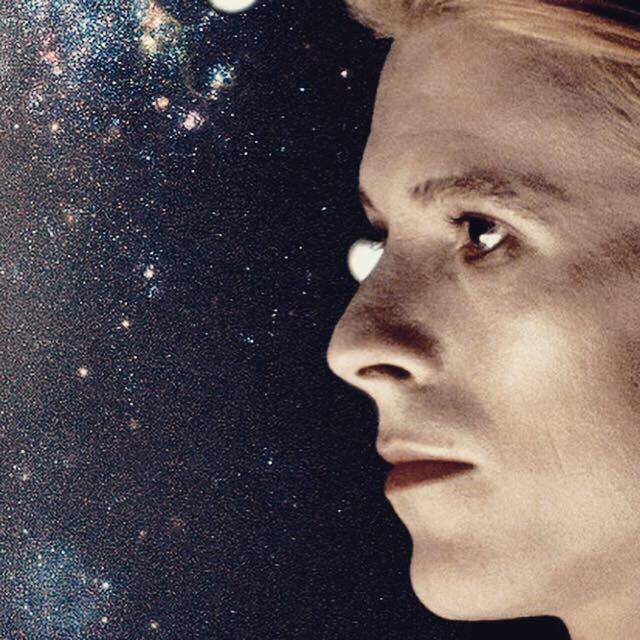 Now, though, with Bowie gone, I’m left with the sense of, rather than a mythical Starman, an extraordinary man doing the most that he could with a human, earthbound life and death – creating, wondering, wandering, reaching and facing the strange. Ain’t that just like him.